How do I create a playlist on the AGPTEK MP3 player? 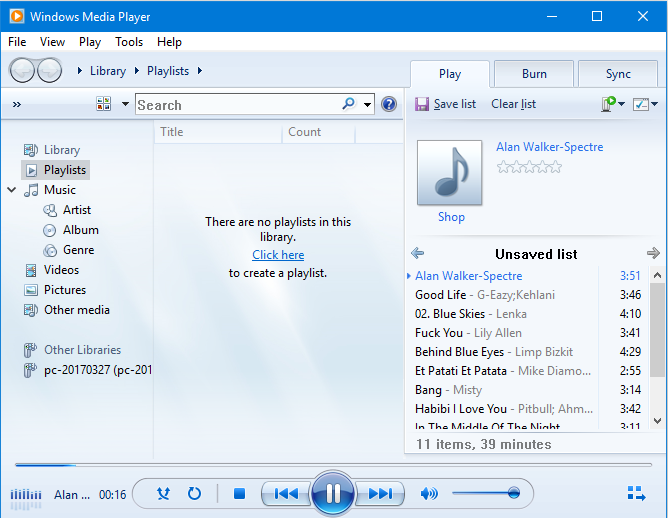 The AGPTEK MP3 player only supports M3U playlists and they must be stored in the same directory as the files in the playlist. 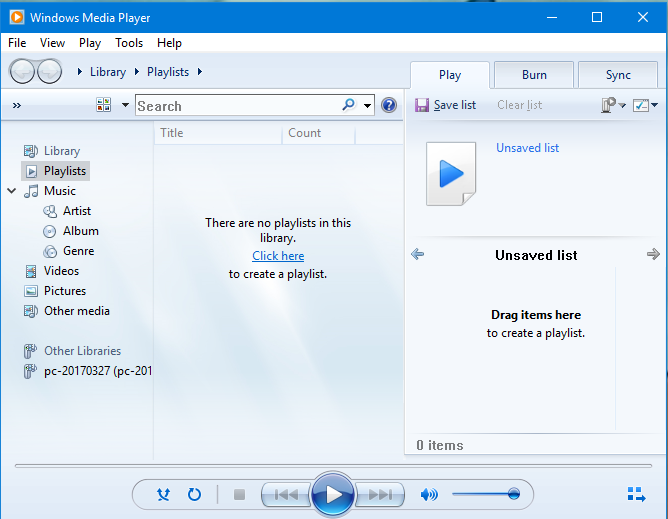 The process below gives instructions for creating an M3U playlist using Windows Media Player for the use on the AGPTEK MP3 player. 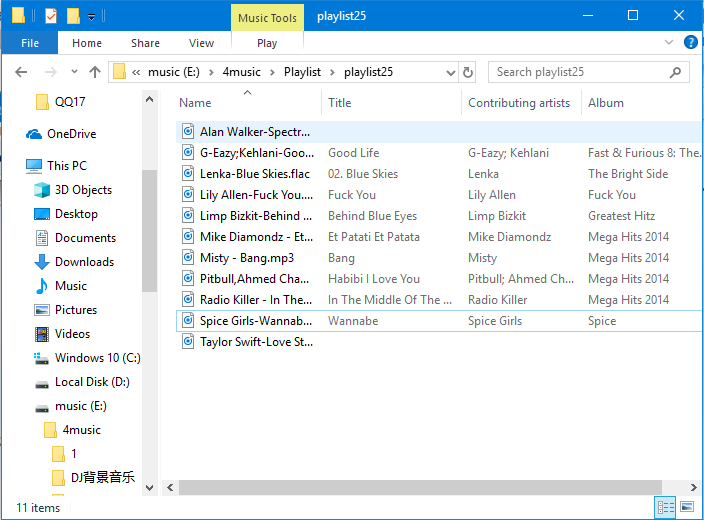 Note: You are able to create M3U playlist in AGPTEK A02, A02S, A29T, B03, M07, M19, M20, M28, M29, G05S, G15, G12, R1S, ROCKER. Step 1- Open Windows Media Player. 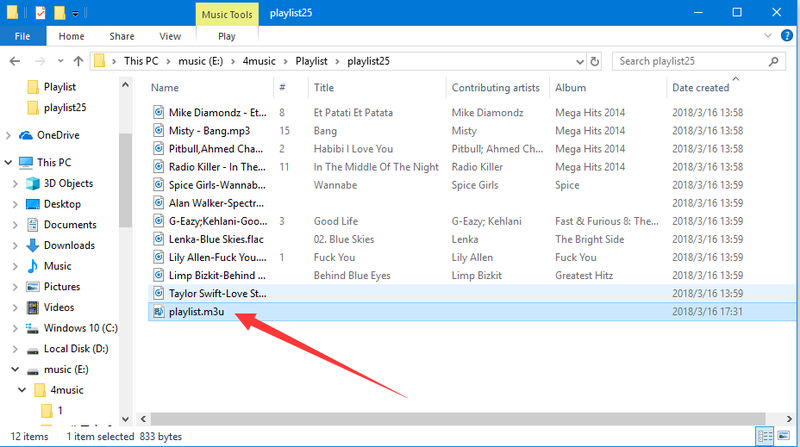 Step 2 - Move all the files you want in the playlist into a folder(eg. Playlist25) on the computer. Step 3 - Drag the folder(eg. 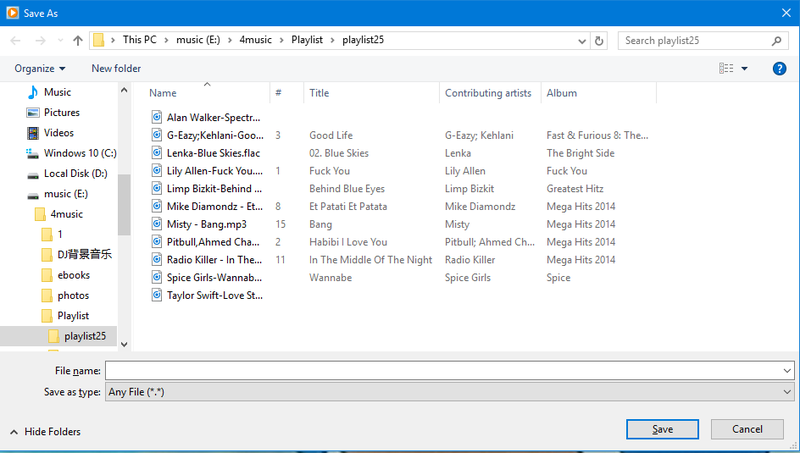 Playlist25) into Windows Media Player. Step 4 - Click the drop down menu( ) and select "Save list as". 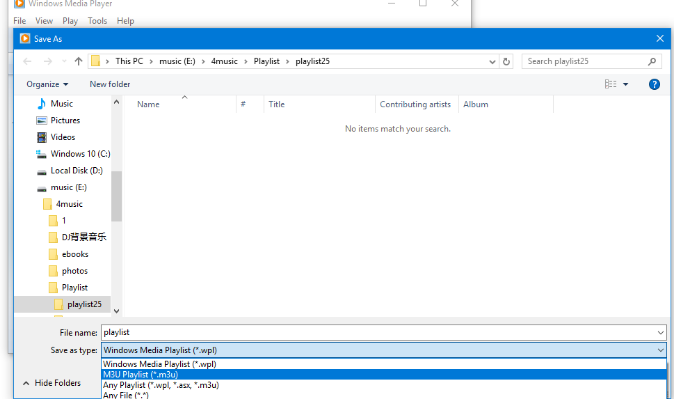 Step 5 - Browse to the same directory where the files you want in the playlist are saved, choose M3U playlist as the file type, name the playlist and click “save”. 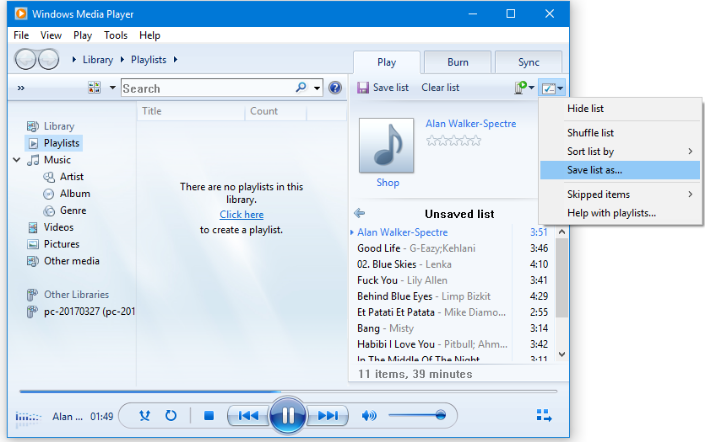 Step 6 - Drag the entire songs in Folder “Playlist25” and the M3U playlist to the Music folder of the AGPTEK MP3 player. The Playlist will now be available under the Playlist option in the Music menu in your AGPTEK player. If you have any questions, please feel free to contact support@agptek.com.